So while we’re all listening to the latest releases by classic metal acts, during what I call the year of metal nostalgia, we’ll still write about the other bands that are releasing stuff as well. Such as Entwine which is another first time for me. 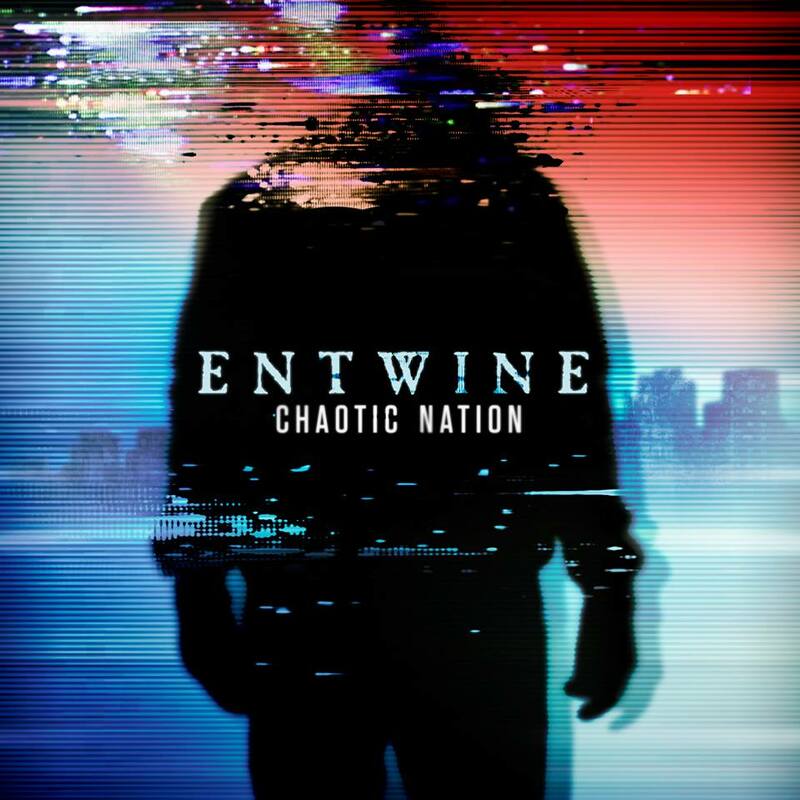 I gotta say that Chaotic Nation is a good name for an album, considering how nearly all nations are chaotic these days. Well its nothing really ground breaking but it’s still an enjoyable album. Great progressive synth rock music (the type I particularly like) with well written song lyrics. It kept me listening through out without it getting boring. Nothing much really to say here, it may have been fairly standard but it was a pleasure to listen to. According to my press release it states that a digital release is only going to be available in north america… not entirely sure what that means really. Is it going to be hard to get I don’t know. What I do know is that if you can pick it up in any shape or form then I certainly recommend it.